Barbie(R) Brand Launches Eight Episode Reality Series Online | Mattel Inc.
EL SEGUNDO, Calif., Oct 28, 2010 (BUSINESS WIRE) -- The Barbie(R) brand, in partnership with Hudsun Media, announces "Genuine Ken(R): The Search for the Great American Boyfriend," a digital competition reality series hosted by Whitney Port. In eight, 22-minute episodes, eight guys ages 21-30 will compete for the title of "The Great American Boyfriend" - a Genuine Ken(R). The series will premiere on Hulu beginning January 18, 2011, and will be featured on the homepage's main carousel. The original series will put contestants through a series of elimination challenges to determine if they, like Ken(R), have the qualities of the "ultimate boyfriend for every occasion." From a surfing competition to talent show to fashion challenge to demonstrating their romantic side, the episodes will be shot in Los Angeles and New York and judged by a line-up of various celebrity guest judges. In addition to Hulu, the series will be distributed through the Barbie(R) brand's social channels, including Facebook, where the Barbie(R) page, currently with 760,000 "likes", grows at a rate of 10,000 fans per day, as well as YouTube and female-targeted digital sites. The series leverages the popularity ignited by the appearance of Ken(R) in Disney Pixar's "Toy Story 3" and invites consumers to experience the Barbie(R) brand in a whole new way through the development of original and engaging content. With the series' launch, the Barbie(R) brand extends its digital presence and demonstrates its innovation in marketing the brand in break frame ways to consumers of all ages. 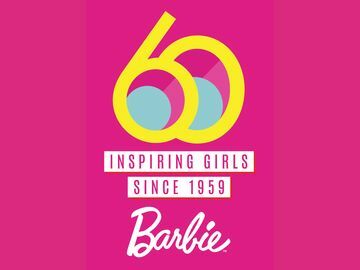 "As pop culture icons, Barbie and Ken engage consumers across multiple touch points from events to television to social media," said Stephanie Cota, Senior Vice President Marketing, Global Girls Brands. "We continue to raise the bar by driving toward new frontiers like the development of original digital content. 'Genuine Ken: The Search for the Great American Boyfriend' pushes boundaries and breaks frame in the digital space while remaining true to Ken's DNA as the ultimate boyfriend for every occasion." "What we are doing with Mattel and 'Genuine Ken' is a complete game changer. We have created a wildly compelling, network-quality reality show that, for the first time, can be distributed directly to the viewer in a non-traditional but very effective way," said Michael Rourke, CEO of Hudsun Media. "It's inspiring to work with such an amazing brand like Barbie and Ken where the possibilities for compelling entertainment are endless." "Genuine Ken(R)" is being produced in partnership with Hudsun Media, an entertainment company dedicated to the art of storytelling. Executive producers Michael Rourke, CEO, Hudsun Media and Max Benator, VP Digital, Hudsun Media along with veteran Executive Producer Lauren Stevens, are bringing Ken(R) to life like never before as the star inspiration for the series. Now through November 1, people can visit www.genuineken.com to nominate and vote for the contestants who have what it takes to be "The Great American Boyfriend." Mattel, Inc., (NASDAQ:MAT)(www.mattel.com) is the worldwide leader in the design, manufacture and marketing of toys and family products. The Mattel family is comprised of such best-selling brands as Barbie(R), the most popular fashion doll ever introduced, Hot Wheels(R), Matchbox(R), American Girl(R), Radica(R) and Tyco R/C(R), as well as Fisher-Price(R) brands, including Little People(R), Power Wheels(R) and a wide array of entertainment-inspired toy lines. In 2010, Mattel was named as one of FORTUNE Magazine's "100 Best Companies to Work For" for the third year in a row, and was ranked among Corporate Responsibility Magazine's "100 Best Corporate Citizens." 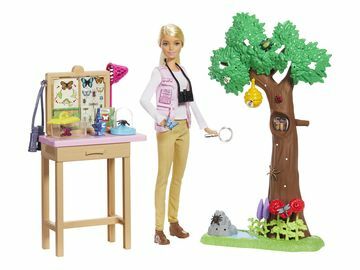 Mattel also is recognized among the "World's Most Ethical Companies." With worldwide headquarters in El Segundo, Calif., Mattel employs approximately 27,000 people in 43 countries and territories and sells products in more than 150 nations. At Mattel, we are "Creating the Future of Play." Hudsun Media (www.hudsunmedia.com), a member of the MDC Partners network (www.mdc-partners.com), is an entertainment company dedicated to the art of storytelling across every platform. Hudsun creatives hold the singular mission of producing quality content centered around dynamic characters that resonate with niche and broad audiences alike. Through Hudsun's partnership with MDC and the wider advertising community, brands have a unique opportunity to tap into Hudsun's entertainment pipeline and become a part of the creative conversation at the earliest possible moment. Formed in early 2010, Hudsun is already in production on the new prime-time reality series for Bravo "Pregnant in Heels," featuring maternity guru Rosie Pope. Additionally, Hudsun Media is in production on 24-episode order of the groundbreaking animated digital series "Trailer Trash" with artist Todd Goldman for Lionsgate. BARBIE, KEN and associated trademarks and trade dress are owned by Mattel, Inc. © 2010 Mattel, Inc. All Rights Reserved.